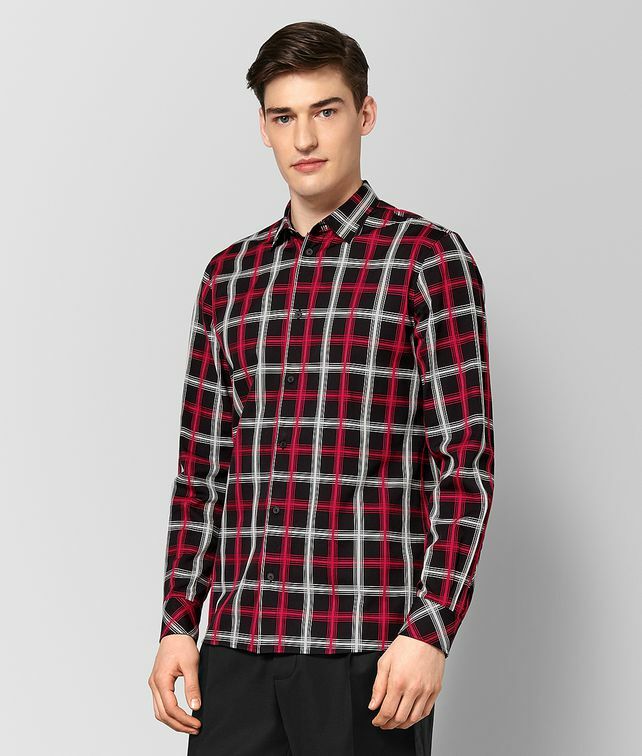 This button-up shirt is a very Bottega Veneta take on a classic checked piece. The checked is rendered in both printed stripes as well as stripes created with fils couple weaving, which gives the shirt a unique texture. Finished with black buttons and bias-set cuffs. This item is available to pre-order. Your credit card will not be charged until your order has been shipped. The estimated shipping date for this item is: 10/09/2018. The estimated shipping date for this item is: 10/09/2018.